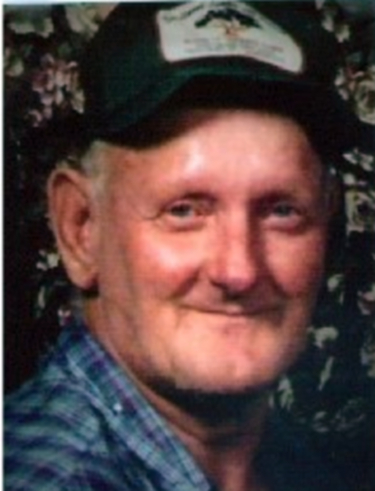 Sonny Roger Darrell Isbell, age 75, of Frenchburg, KY, passed away on Wednesday April 10, 2019 in the Edgewood Estates Nursing Home, Frenchburg, KY after an extended illness. He was born in Middletown,Ohio, November 2, 1943 to Alma Irene Smallwood Isbell Harmon and Roger Thomas Isbell. He accepted the Lord as his Savior. He worked at a sawmill. Surviving is a daughter Amanda Dawn & Gary Barnett of Cedar Bluff,VA. ; son Aaron Dexter Isbell of Cedar Bluff,VA;, two grandchildren Melanie Dawn Paige Barnett, Chelsea Nicole Breeding. One great-grandson Jaxon James Breeding. Five sisters Sonya Carolyn Christine Combs of Middletown,OH. Linda Dolores Harvey of Frenchburg,KY. Geraldine Madge Gibson (Ronald) of Mansfield,OH. Brenda Kay Patrick (Timothy) and Rita Sue Adkins (David) of Frenchburg,KY. Three brothers, Timothy Tony Harmon (Teresa) and Bobby Dempsey Harmon (Regina) of Frenchburg, KY. Phillip Adrian Harmon (Sylvia) of West Liberty, KY. He was preceded in death by his parents Alma Irene Smallwood Isbell Harmon and Roger Thomas Isbell, his stepfather Joe Harmon, brother Virgil Thomas Oren Isbell and sister Barbara Joan Harmon. Funeral services will be held 1:00pm Sunday April 14,2019 at Menifee Home For Funerals with Bro. Mike Sexton officiating. Burial in Harvey & Harmon Cemetery, Joe Harmon Rd.,Frenchburg, KY. Visitation will be held 6:00pm Saturday at Menifee Home For Funerals, Frenchburg, KY with Randy Halsey, Funeral Director. Pallbearers will be James Mullins, Timothy Harmon, Phillip Harmon, Danny Isbell, Alex Isbell and Michael Patrick.